Performance artist Jordan Wayne Long moved to Los Angeles in 2013 with his collaborator Matt Glass. Over the last six years, they’ve written, directed, and produced multiple film projects—and taken home numerous Emmys—as HCT.Media. On this week’s episode, Jordan joins first to talk about shipping himself in a crate across the country, tackling PTSD through performance, the complications of audience participation, knowing why you’re doing what you’re doing, and getting knocked off a horse. Following a short break filled with fun facts about Richard Brautigan, Matt joins the episode to talk about HCT.Media’s ambitious history of DIY filmmaking and what’s in store for the future. The outro music is a song called “Football” by Jordan and Matt. Check out the trailer to their first feature narrative, Squirrel, below the embedded episode. 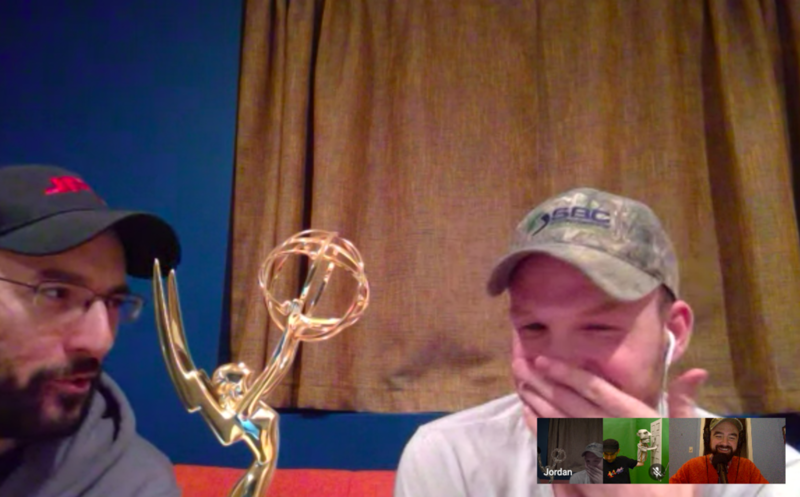 Here’s Matt and Jordan giggling about one of their Emmys.